Ryan discovered his passion for renewable energy early in his college career at Humboldt State while pursuing his degree in environmental resources engineering. Ryan was exposed to the exciting possibilities of solar power and his desire to learn more and be involved in the solar industry only grew as he continued his studies. Once he got his hands on an actual PV installation during a class with Solar Energy International, Ryan knew exactly how he wanted to spend his working days. Early in his career he worked as an installer, provided technical support for a renewable energy retailer, and moved up to Engineering Manager at a national renewable energy wholesale distributor. It was during his time with the distributor when Ryan's knowledge of PV systems grew exponentially. Ryan has been working in the renewable energy field since 1999 and founded Mayfield Renewables (formerly Renewable Energy Associates) in 2007. Ryan has served as PV Systems Technical Editor for SolarPro Magazine since 2010, regularly writing feature articles in SolarPro and Home Power magazines. He is also the author of PV Design and Installation for Dummies (published in 2010). Ryan teaches various PV courses across the nation for electricians, existing solar professionals, code officials, inspectors and individuals looking to join the solar industry. Class topics include National Electrical Code, Oregon Solar Code and PV systems, commercial PV systems, and preparation for the North American Board of Certified Energy Practitioners (NABCEP) exams. Ryan holds a Limited Renewable Energy Technician (LRT) license in Oregon. 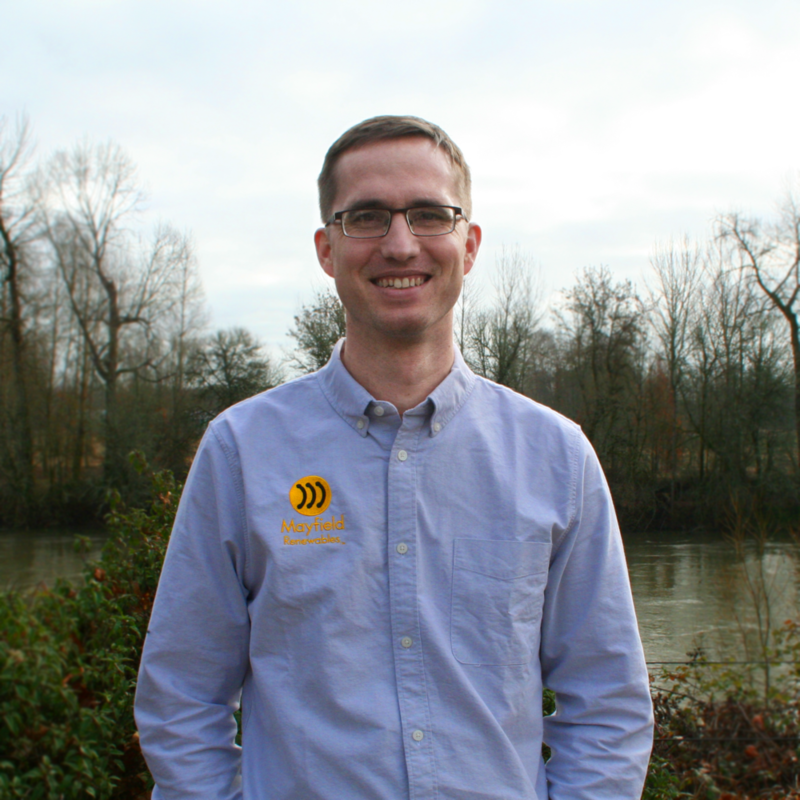 Ryan lives in Corvallis, Oregon with his wife, three children, five chickens, and one dog. He enjoys spending quality time with his family, competing in triathlons, traveling, and a good scotch. John Stimac has been working in the renewable energy industry since 2006 when he got his start as a residential PV installer. John joined Mayfield Renewables in 2008 bringing with him a strong understanding of residential PV as well as his general background in construction and design best practices. John has experience in a broad range of system types including a 15kW residential grid tie system, a 170kW off-grid system and a 6MW commercial carport system. John leads the design effort for megawatt-scale PV projects and manages the CAD design environment for the Mayfield Renewables design team. 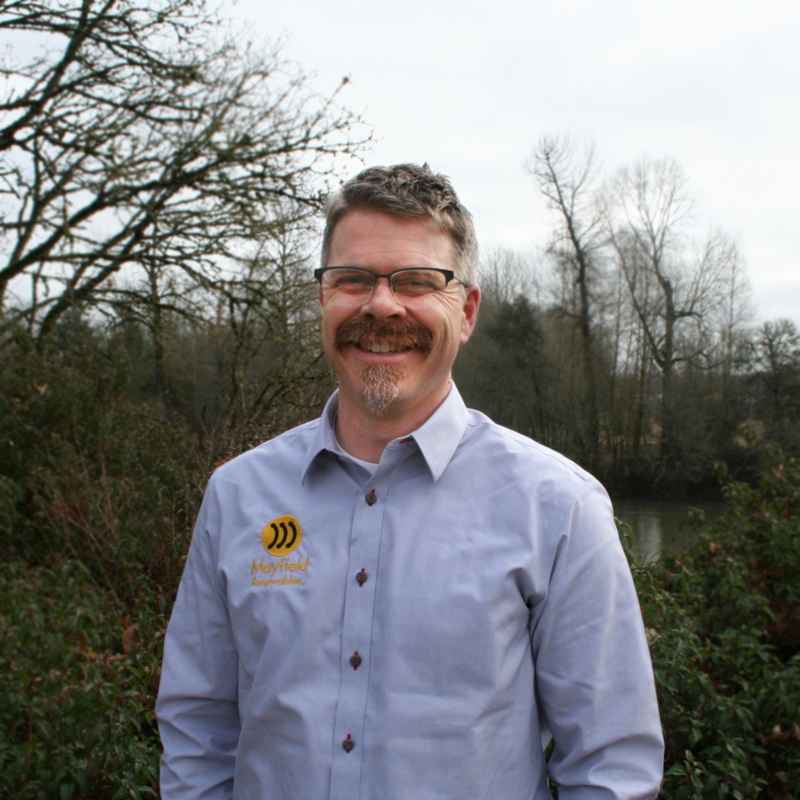 John is a licensed Limited Renewable Energy Technician in Oregon and has an Associate’s degree in Renewable Energy Management from Lane Community College. When John is not creating code compliant, build-ready PV permit sets he spends his time playing with his two children and working on his home. Drafting & Designing Engineering Technology, A.A.S. Preston graduated from Linn-Benton Community College in 2012 with an A.A.S. degree in Drafting and Designing Engineering Technology with an emphasis in Civil Engineering. After college he started working for a large telecommunications company in Oregon where he worked closely with designers and engineers to draft detailed and accurate cell phone tower structures. He later found his passion for solar when he started working for Mayfield Renewables, where he now helps his clients through the initial design stage all the way through the permitting process. In his leisure time he likes to go camping, wakeboarding, and fishing. Jennifer graduated from the University of San Diego with a B.S. in Mechanical Engineering in 2009 and started her career in the defense industry learning about strict clean room quality control, testing, and continuous process improvement. These skills prepared her for making the switch into solar energy as the first engineer at Quick Mount PV. She built and established the entire engineering department including manufacturing, drawing standards, ECO process, new product introduction, R&D, and testing. With 8+ years in solar, Jennifer has a wide variety of experience in PV. In her spare time Jennifer founded and runs Solar Beer Club, a SF Bay Area based networking group with over 360 members. She enjoys sharing her passion for renewable energy, running half marathons, playing soccer, cooking healthy meals, and teaching her deaf dog sign language. Mitch graduated from Oregon State University in 2017 with a B.S. in Electrical and Computer Engineering and a solid reliance on coffee. He had an internship every summer with various companies, including Rosendin Electric, before starting his career in the solar industry with Mayfield Renewables. When not thinking about the sun, Mitch enjoys sailing, backpacking, and long distance running. While working in stone masonry and general construction, Ry became aware of the excessive waste generated in the industry. He found himself drawn toward sustainable construction practices and discovered the emerging fields of green building and renewable energy. In 2005, he began studying renewable energy while attending Lane Community College (LCC) in Eugene, Oregon. In the summer of 2006, Ry helped construct a pair of building-integrated PV canopies, an innovative project which solidified his passion to be a part of the solar energy movement. He went on to complete two complimentary Associate Degrees in Energy Management and Renewable Energy from LCC, with an additional focus in AutoCAD. 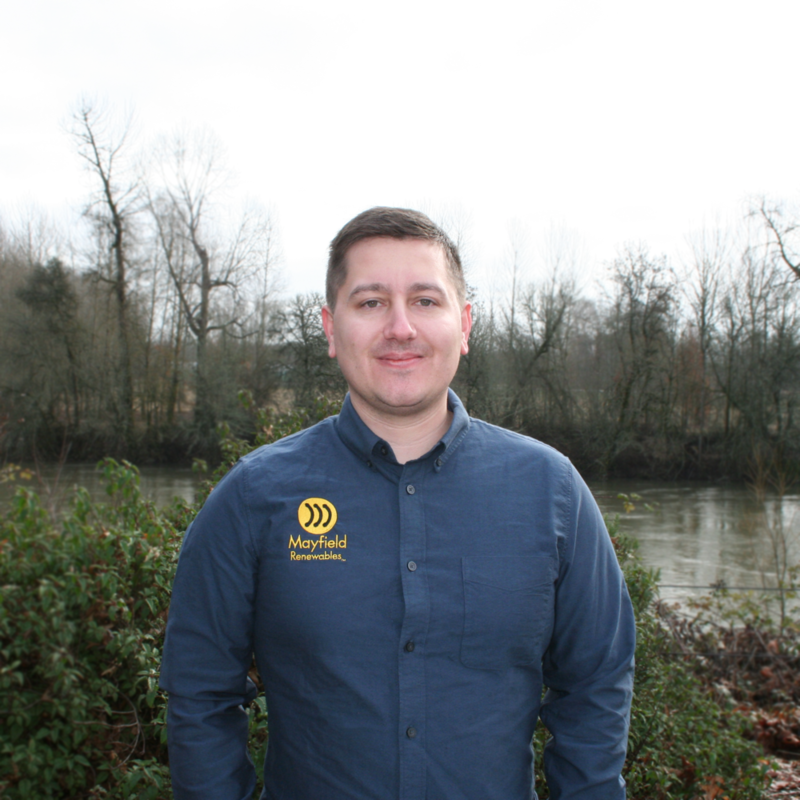 Choosing to specialize in solar electric design and installation, Ry completed a 4-year electrical apprenticeship program and has been a licensed Oregon Journeyman Electrician since 2012. He has extensive experience designing and building off-grid, battery back-up, and grid-tied PV systems both residential and commercial. Ry lives in Southern Oregon with his wife and 3 children. During his free time, he loves getting outdoors with his family: hiking, mountain biking, mushroom hunting, and traveling to new places.